In 2012, they topped the points table but failed to get past Chennai Super Kings in the play-offs. 2011 struck them again in 2013 and 2014 as they finished at the bottom of the points table. They have improved by a position each in 2015 and 2016. Delhi Daredevils bought as many as nine players in the auction which was held earlier this year. 17 Indian and nine overseas players have summed up the number of players to 26. In the name of remaining budget, the franchise has INR 9.05 crore in its purse. 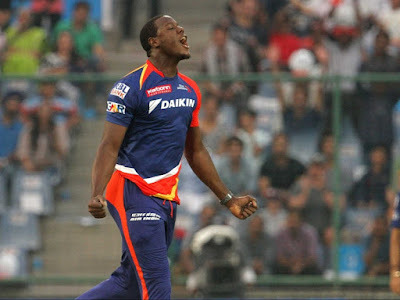 Brathwaite is likely to be given a bigger role in the Daredevils' line-up. South Africa's fast bowling sensation, Kagiso Rabada (INR 5 crore), was Daredevils' highly priced buy this year. They have also taken possession of Australia's Pat Cummins (INR 4.5 crores). Sri Lanka's captain, Angelo Mathews (INR 2 crore), and New Zealand's Corey Anderson (INR 1 crore) will also play for Delhi Daredevils in this season. Murugan Ashwin (INR 1 crore), who played for Rising Pune Supergiants last year, will turn up for the capital city of the nation this year. Among the other Indian players are, Mumbai's captain, Aditya Tare (INR 25 lakhs), Mumbai's Shashank Singh (INR 10 lakhs), Maharashtra's Ankit Bawne (INR 10 lakhs) and Delhi's local boy in Navdeep Saini (INR 10 lakhs). 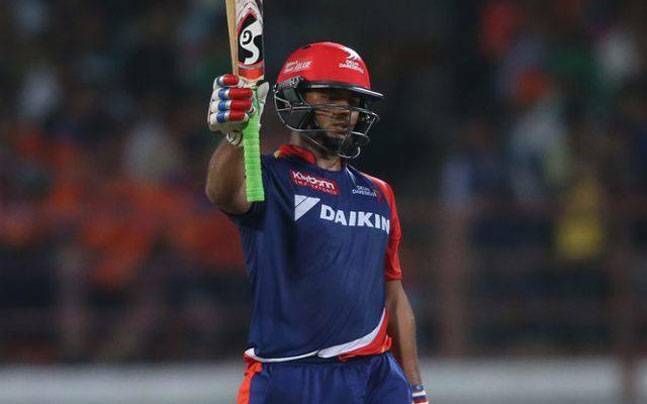 In the transfer process, they released their hold on Mayank Agarwal as he was acquired by Rising Pune Supergiant. What will hurt Daredevils the most this year is the loss of 2,719 runs, 23 wickets, 35 catches and 3 stumpings. Yes! These are the combined number of runs and dismissals of JP Duminy and Quinton de Kock in the IPL. With the kind of form de Kock is in, he was a sure starter in the Delhi line-up. But one man's loss is another man's gain. Sam Billings would welcome this opportunity with both hands. He is likely to get an extended run in the team at the top of the order. Shreyas Iyer would be looking to continue his domestic form in the IPL as well. Hard-hitting Pant will have eyes on him in this IPL. It seems as if Rishabh Pant is custom-built to take on the bowlers. His game is well suited for the shortest version of the game. Karun Nair provides solidity to the middle order. Corey Anderson and Carlos Brathwaite have it in them to play the big shots at any given situation. Jayant Yadav and Amit Mishra will provide variety in both bowling and batting. The fact that Pat Cummins can dominate the bowlers in the death overs might give him the edge over Kagiso Rabada. With the ICC Champions Trophy coming up, Mohammad Shami would be looking to impress the selectors via the IPL. It will be enthralling to see Zaheer Khan take the field at the age of 38 and after a gap of one year. Regardless of retiring from the international arena, he never fails to impress in the IPL. In terms of batting, excluding Duminy and de Kock, Daredevils are left with the Indian pentad of Sanju Samson, Aditya Tare, Ankit Bawne, Shashank Singh and Pratyush Singh. Samson has scored 1,040 runs in 52 IPL matches and will be the first one to replace an Indian batsman in the playing eleven. South African duet of Chris Morris and Kagiso Rabada would also be looked upon at some stages in the tournament. With the amount of experience that he has, a fit Angelo Mathews can play a huge role in the middle order. Indian trio of medium-fast bowlers include Navdeep Saini, Chama Milind and Khaleel Ahmed. With more than 100 wickets in two Ranji Trophy seasons, Shahbaz Nadeem would also be looking for his slot. Murugan Ashwin is another interesting spin bowling prospect. Feroz Shah Kotla, New Delhi.